- - A - - B - -: DOw NutS! F : Trinkst du gern Kaffee oder Tea? AB : Ich Trinke Kaffee gern. 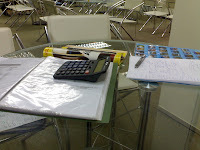 F : Oooo suke minum kopi... okey next question. Sind Sie Rauchen? AB : Nein, Ich bin nicht Rauchen. F : Oooo tak merokok ye? takpe... walaupun awak tak merokok, saya nak tanya jugak nie. Was kosten eine packung Cigarette? AB : Hmm.... Eine packung Cigarette kostet RM5. F : Ooooo RM5 eh? tu Dunhil ke ape? murahnye! 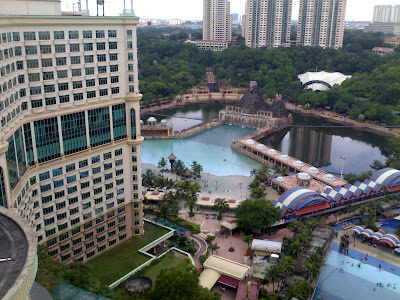 Dunhil bukan mahal ke? F : Okey sambung, Wie spat is es? AB : Es ist neun Uhr. F : Betul ke pkol 9? saya tgk jam saya ni bukan pukul 9! AB : Oh... ja... es ist neun uhr sieben minuten! 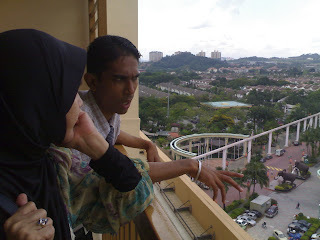 F : haaaa.... betul2.. Ok... awak dah habis! Big Apple Subang Parade! Ground Floor! In front of Old Toys'R'Us! Okey okey... later da t day (we are now in the second day, the day when I took my Oral test... and the situation is me and Tengku have just finished our health and fitness level improvement!) 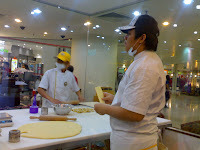 we went to Subang Parade and I've decided to buy a pack of 12 Donuts from Actually that wasn't my first time in Big Apple.Big Apple, its just dat I didn't got the mood to write something about food! 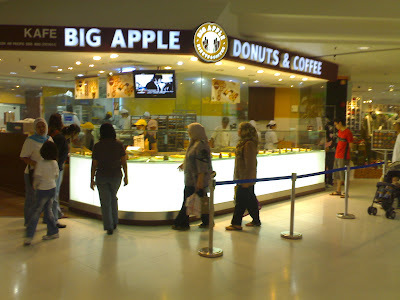 hahaha Big Apple is more preferable than J.Co in Sunway Pyramid. For me laaa... and u know why? the reasons are less people queuing and they have Alien vs Predator! I Love AVP very much!!! the chocolate is sooo real!!! U can fell it melts surrounding ur lips and if u're unlucky enuff, it will flow onto ur dress, legs, shoes, hands, etc! 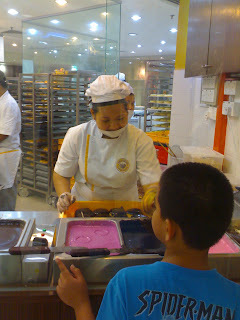 Picture : (Above) The Abangs is manhandling the Donuts! Ahaks! Picture : (Right) Even Spiderman will be amazed by the Donuts making process! I LEs sgIr OmE fIqk Amc rgE Ir RO mIbE sgAs I eAkk eOq gEq! ;p I sgImj rgE jmOvr! gAgA... vE gAuE aEEm fOOc eqIEmcr kAsEkx Amc I gOoE Is vIkk rsAx Om eOq mEws bOUokE Oe xEAqr! axE!